André Previn is one of the most versatile musicians of the twentieth and early twenty-first centuries. He was born on April 6, 1929 in Berlin, as Andreas Ludwig Priwin. His upper-class Jewish family left Germany in autumn of 1938 via Paris to Los Angeles where Previn became an American citizen in 1943. During his accomplished career, he won eleven Grammys over a span of 51 years for movie soundtracks, jazz records, albums with classical music and recordings of his own contemporary art music. During his later years as a conductor of classical music, Previn's longtime manager Ronald Wilford described him as "a German-Jewish-French-Hollywood-American-Classical-Jazz-Pianist-Pop-film orchestrator-composer-conductor” (Döhl 2012, p. 13). His career in many ways exemplifies the numerous transatlantic crossings in the world of twentieth-century music. Previn left his mark on various genres of the American music scene including jazz, classical, and contemporary art music. From 1945 to 1967, he worked in Hollywood as a film composer and arranger for more than 50 movies, winning four Academy Awards for his adaption scores to Gigi (1958), Porgy and Bess (1959), Irma La Douce (1963), and My Fair Lady (1964) – the second highest number of wins ever in the award’s musical categories. Some of his original songs from movies, including Theme from Valley of the Dolls (1967), reached mainstream success and the top of the Billboard charts. During the same era, he also regularly worked as a jazz pianist, often as a trio pianist in West Coast Jazz playing at major events and popular venues like the Newport Jazz Festival, Jazz at the Philharmonic in Los Angeles, and New York’s Apollo Theatre. Previn recorded classic albums, includingModern Jazz Performances of Songs from My Fair Lady (1956) – the first album in the history of jazz to sell over a million copies. He also wrote two musicals, Coco with Alan Jay Lerner in 1969 and The Good Companions with Johnny Mercer in 1974, which were successfully staged on Broadway (with Katharine Hepburn) and West End (with Judi Dench) respectively (see Döhl 2012). Previn’s musical training, however, was steeped in European tradition. His education as a classical musician – the field of activity that has become the main focus of the second part of his life – started when he began his studies at the age of six at the Stern’sches Konservatorium in Berlin, one of the best schools of music in its time in Central Europe with a strong Jewish heritage in both ownership and teaching personal. It was located in the old Berlin Philharmonic that was later destroyed during the Second World War. His most important teacher was pianist Rudolf Breithaupt. When the family left Berlin in late 1938 for Los Angeles, they stayed for almost a year in Paris. Here, Previn studied for several months at another important European school of music, the Conservatoire. Amongst his teacher was legendary organist Marcel Dupré. European émigrés to the United States then played an influential role as Previn continued his studies during the 1940s and 1950s in Los Angeles and San Francisco with Joseph Achron and Mario Castelnuovo-Tedesco (in piano, composing and orchestrating), Joseph Szigeti (in performing classical chamber music) and Pierre Monteux (in conducting) among his teachers. Legendary violinist and fellow immigrant Jascha Heifetz was an old friend of Previn’s mother from Europe and his Californian network of immigrants helped Previn establish contacts among elite musicians. Many immigrants from the field of music who left Europe during the Nazi era (with Achron and Monteux having left for America even earlier) turned to Los Angeles in search of work in the movie business, giving rise to a vibrant community. Their arrival added to the already substantial number of immigrants among Hollywood’s producers (e.g. Carl Laemmle and Irving Thalberg) and within the film music scene. Movie companies had been reaching out to Europe for musical expertise since the rise of sound movies and the immediate development of an aesthetic of symphonic film music scoring. As Previn describes in his book No Minor Chords: My Days in Hollywood, new music had to be composed, arranged, orchestrated, and recorded for almost everything that was produced in the movies. Using prerecorded classical and popular music as soundtracks did not become the standard until the late 1960s. Before this change, all big studios had huge music departments with dozens of composers, arrangers, pianists, singers, big bands, and symphony orchestras. Next to Broadway, some schools of music, and the leading American orchestras, Hollywood was the best job market for well-trained immigrant musicians. During the 1940s and 1950s, Previn performed widely in the Californian classical music scene, appearing regularly in the famous concert series Evenings on the Roof in Los Angeles. With this background, Previn decided around 1960 to change the path of his career and switch his focus from movies and jazz to classical music and conducting. After years on the road conducting province orchestras and learning the business, Previn earned his first contract as chief conductor in Houston in 1967. As with many of his colleagues, the Atlantic was not a one-way street for Previn. In 1968, Previn left for “Swinging London” to take over the same post with the London Symphony Orchestra (LSO). Moving to Europe was necessary for Previn to be able to establish his career as a classical musician because, as he later explained many times, in America “some critics [...] will forgive you being an axe murderer, but never for scoring a film.” “Somehow, having worked in Hollywood is like being a well-known whore” (Döhl 2012, p. 187). Previn is one of the only musicians who has been able to embark on an international career in classical music after a similar career in the movies, musical, popular music, and/or jazz, thereby crossing a cultural border that is still heavily defended. His friend Leonard Bernstein was in many respects a similar figure, but had been a star as a classical conductor before becoming widely known for his many other artistic activities. His transatlantic crossings were in some ways typical for elite classical musicians since the beginnings of the jet-set era in the 1960s. Previn stayed with the LSO for eleven years until 1979 – the longest tenure of any conductor in the history of this world class orchestra. During those years, Previn became very well-known as a classical musician in Great Britain via television (mostly on BBC) with series like André Previn’s Music Night. Having established himself as classical musician, he was then able to return to America and work for many years both in the U.S. and in Europe at the same time. His posts as conductor and/or music director included the Pittsburgh SO (1976–84, where he enjoyed another television success with the Emmy-nominated series Previn and the Pittsburgh on PBS), Los Angeles PO (1985–89), Royal PO London (1985–91), and Oslo PO (2002–6). Especially during the 1970s and 1980s, Previn recorded widely as a conductor. His discography contains several hundred albums of classical music, including two dozen as a classical pianist, in addition to more than a hundred soundtracks and jazz records. Around 1990, Previn again changed directions. During the two decades that followed, he focused his efforts on composing contemporary art music, a field in which he had been involved off and on since the 1960s. His oeuvre includes two operas – A Streetcar Named Desire (1998) based on a Tennessee Williams’ play and Brief Encounter (2009) based on a Noël Coward play, about twenty concertos, the same number of chamber music pieces and a dozen sets of piano pieces and art songs. His art music, which is also widely recorded, was premiered and performed by musicians and ensembles like Vladimir Ashkenazy, Janet Baker, Yuri Bashmet, Yo-Yo Ma, Anne-Sophie Mutter, Emerson String Quartet, Boston SO, Gewandhausorchester Leipzig, London SO, Philadelphia O, Pittsburgh SO and Vienna Philharmonic. A Streetcar Named Desire quickly became one of the most frequently staged contemporary operas having already been performed in North America, Europe and Australia within a few years. Previn is an advocate of tolerance and cosmopolitism with a strong sense of humor, entertainment and modesty. He refers to himself as an American in attitude and humor, but who still counts in German and is equally strongly rooted and interested in American and European musical traditions. He is a virtuoso in the many musical fields in which he has been active, with the ethics of a craftsman, who distances himself explicitly from popular music and avant-garde art music both as a composer and a performer. Labeling him a postmodern or a crossover musician is as true as it is misleading. Previn’s aesthetics and musical interests are, despite his versatility, very precise and focused. Previn, André. No Minor Chords: My Days in Hollywood. New York: Doubleday, 1991. Previn, André (Ed.). Orchestra. London: Macdonald and Jane’s, 1979. Previn, André and Antony Hopkins. Music Face to Face. London: Hamilton, 1971. Bahr, Ehrhard. Weimar on the Pacific: German Exile Culture in Los Angeles and the Crisis of Modernism. Berkeley: University of California Press, 2007. Bookspan, Martin and Ross Yockey. André Previn: A Biography. Garden City, NY: Doubleday, 1981. Brinkmann, Reinhold and Christoph Wolff (Eds.). Driven into Paradise: The Musical Migration from Nazi Germany to the United States. Berkeley: University of California Press, 1999. Döhl, Frédéric. “André Previn.” In. Lexikon verfolgter Musiker und Musikerinnen der NS-Zeit. edited by Claudia Maurer Zenck and Peter Petersen. Hamburg: Universität Hamburg, 2012. Döhl, Frédéric. 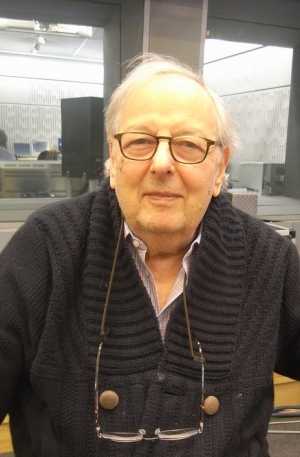 André Previn. Musikalische Vielseitigkeit und ästhetische Erfahrung. Stuttgart: Franz Steiner Verlag, 2012. Döhl, Frédéric. "Movie for the stage? Zu André Previns Opern." Archiv für Musikwissenschaft 69, no. 1 (2012): 51–64. Freedland, Michael. André Previn. London: Century, 1991. Gienow-Hecht, Jessica C.E. Sound Diplomacy: Music and Emotions in Transatlantic Relations, 1850-1920. Chicago: University of Chicago Press, 2009. Horowitz, Joseph. Artists in Exile: How Refugees from Twentieth-Century War and Revolution Transformed the American Performing Arts. New York: Harper Collins, 2008. Kramer, Lawrence. "The Great American Opera: Klinghoffer, Streetcar, and the Exception." The Opera Quarterly 23, no. 1, 2007: 66–80. Sullivan, Jack. New World Symphonies: How American Culture Changed European Music. New Haven: Yale University Press, 1999. André Previn Collection, Music Division, Library of Congress, Washington, D.C.